Ready to stamp out sluggish sales and punch up some repeat business? 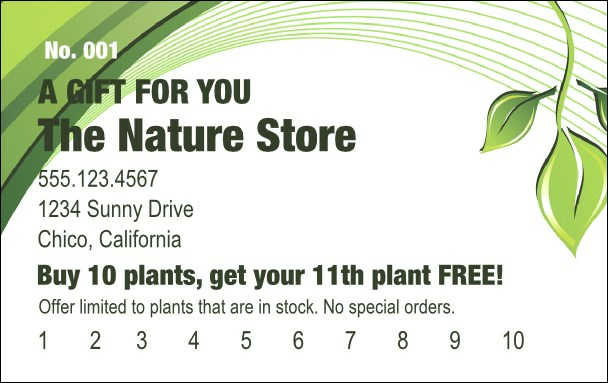 Capitalize on nature's beauty, add some sweet modern design, and behold the Green Leaf Gift Card, a high interest Gift Card with graphic depth and green leaf images. Customize with your business details on this template and start selling more. Start something new with TicketPrinting.com.